To conclude our Pleasant vices series, Tasha Marks explores our complex relationship with sugar. As someone with an unabashed sweet tooth, it seems fitting that my specialisms are in sugar, jelly and ice cream. However, the fun and frivolity of these foodstuffs is underpinned by the darker history of sugar. Sugar and status, possessions and power are intimately linked. The presence of sugar was first acknowledged in England in the 12th century, where it was treated predominantly as a spice and a medicine. In this early period, sugar came from numerous sources in the Middle East, India, Egypt and beyond. Like many spices, Venice was the trading post by which sugar came into Europe. Harvested exclusively from sugar cane (sugar beet was not commercially used for sugar production until the 19th century) the resulting sugar was not in the famous ‘sugar loaf’ form, but more likely to be a gritty, gravel-like substance, made from drying sugar cane extract in the sun. An illustration of sugar cane, 1544–1552. 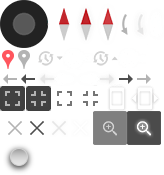 The early refining process was soon replaced by the sugar loaf, or sugar cone, method. This technology for refining sugar cane was introduced to Europe in the 1400s, though it existed centuries earlier in the Middle East. In the print below we see the entire process, from the chopping down of sugar cane stems to the stone mill extracting the juice and the large stoves boiling syrup. Then on the right-hand side we see the moulding of the sugar cones, and finally the sugar loaves themselves. This is a plate from a series of 20 prints illustrating new inventions and discoveries, which was part of the initial bequest to the British Museum by Sir Hans Sloane himself. 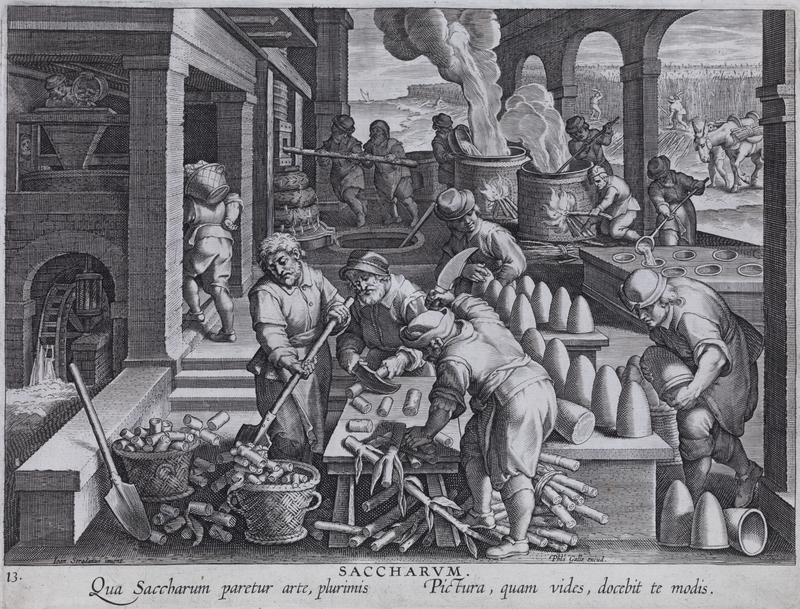 ‘Saccharum’ print showing the sugar production process, c. 1580–1605. The foundations of dessert as we know it were laid in the medieval ‘void’, when fruit, jelly and other sweetmeats were often eaten standing up and away from the dining hall, allowing the room to be cleared for after-dinner activities. This ‘ceremony of the void’ gave dessert a detached quality, setting it apart from other modes of feasting and allowing for a certain creative licence and flamboyance in its presentation. 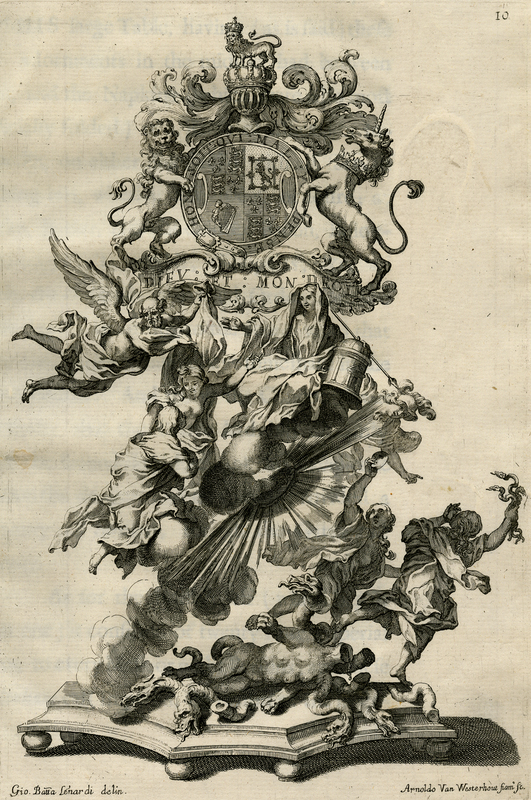 Illustration of an allegorical sculpture in sugar, 1687. This power of sugar as a storyteller is seen in this illustration. It shows one of several sugar centrepieces included in a banquet offered by the Earl of Castlemaine on 14 January 1687, for James II. This elaborate sugar monument is not just visually alluring, but is also an allegorical sculpture representing the return of the nation into the Catholic Church. 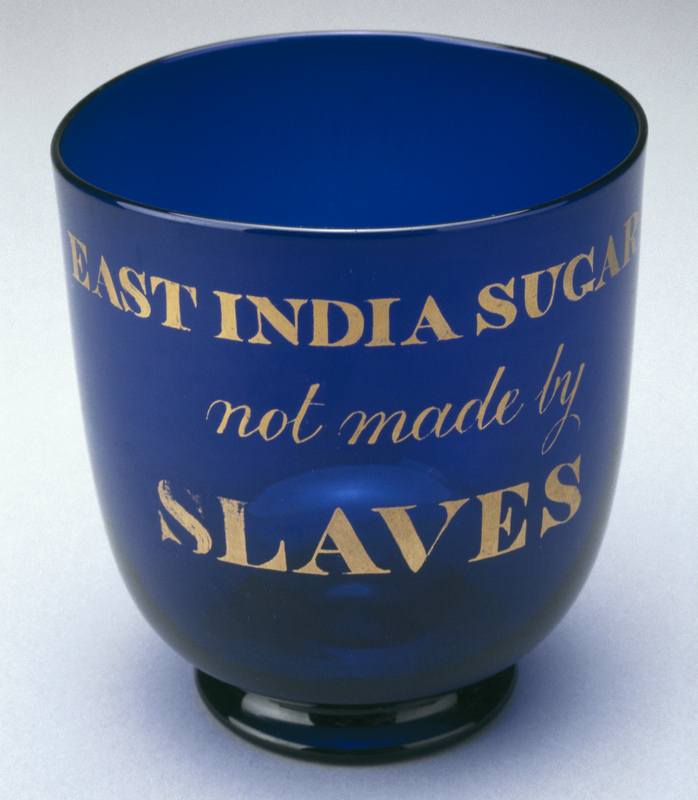 The fundamental image of 16th–19th-century sugar is not one of luxury, but of the horrors of slavery – the transatlantic triangle that saw enslaved people treated as objects, and goods prized above people, was the direct outcome of the desire for affordable sugar. This history of sugar should never be forgotten, but addressed and engaged with. A recent BBC documentary revealed there were over 46,000 slave owners in the UK. These individuals ranged from those at the heart of government to middle-class tradesmen in the Orkney Islands. As a country, our participation in the slave trade was widespread, a fact that must not be neglected just because the enslaved people owned by these British proprietors were thousands of miles away on plantations in the Caribbean. Although the campaign for the Abolition of Slavery began in 1787, slavery persisted in the British colonies until its final abolition in 1838. The campaign harnessed political propaganda and hinged its argument on first-hand, eyewitness accounts. Proof that people in Africa were being captured and traded by Europeans, and taken to the Americas in appalling conditions was disturbing to many of the general public. While the average 18th-century person might not have had an impact on legislation, money can speak louder than words, and the shift from West India sugar produced by slaves to East India sugar, which was ‘free-grown’ is one of the first examples of how consumer choices could effect change. Blue glass sugar bowl, made around 1820–1830. As seen in this sugar bowl, purchasing East India sugar became a badge of honour. Though more expensive than sugar produced by enslaved people, Georgian confectionery shops would advertise that they only used East India sugar to distance themselves from the slave trade. This action is as relevant today as it was then, marking a contemporary awareness and accountability for our consumer choices. In current consumer politics, as in the Georgian era, we should put our money where our mouth is. Free trade and fairly traded are not just words, they are a desire and an instigator for further change and equality. As a confectioner and a food historian, I understand the historical significance of sugar as a status object. From medieval luxury, to the role of sugar in the slave trade, to the current anti-sugar rhetoric, our relationship with this foodstuff has been tumultuous. It’s because of this turbulent history that I find sugar such a powerful medium. On a human level we will forever be drawn to the sweet stuff – sweets are the things of childhood memories, of nostalgia and novelty. The intense private rituals of sweets mixed with the social and political history of the substance gives us new avenues to explore. The nature of sugar as a transient medium holds potential for new uses as a storyteller. Sugar can decay but it can also act as a preservative, embalming things in time and space. New technology like 3D scanning and printing creates even more opportunities for sugar to interact with objects from the past. 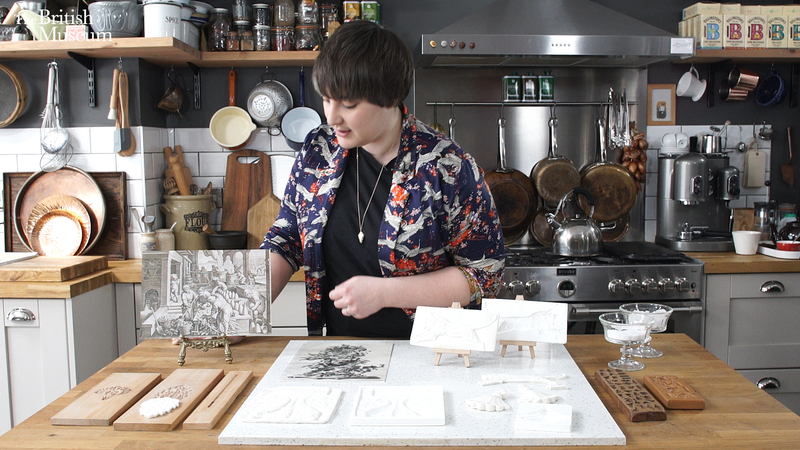 In my work I aim to draw together elements of the story of sugar, putting the spectacle back, like those Elizabethan banquets, but also asking people to think about their food, where it comes from and where it is going. Because, in the end, it’s not the materials or the traditions that encourage change, but our craving for creativity and our desire to engage that drives us to a new sugar highs. 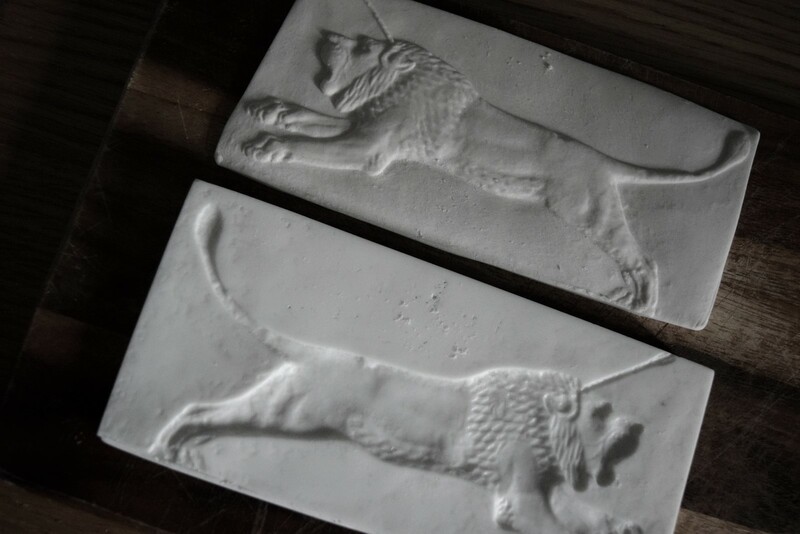 Sugar relief made from a 3D model of part of the Assyrian lion hunt reliefs. Photo by Tasha Marks.